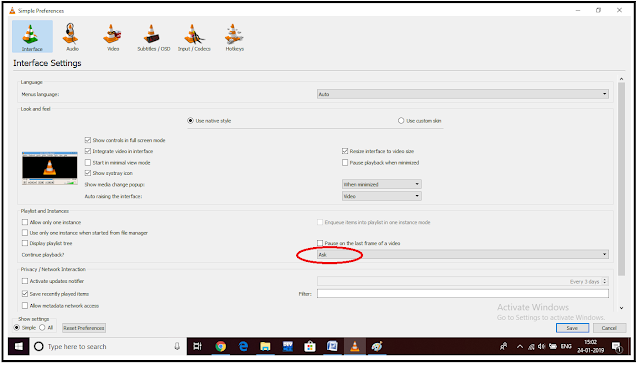 How to force VLC media player to remember your last played position? 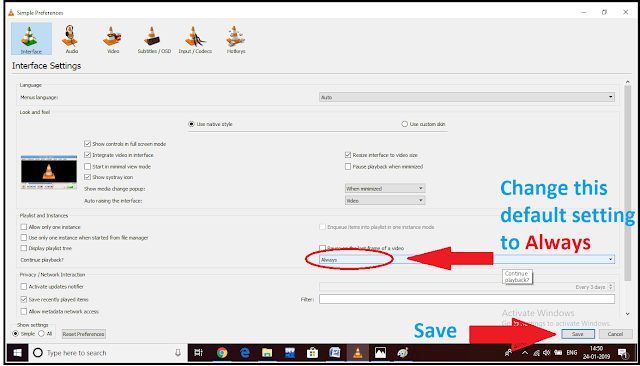 Home » Tech How » How to force VLC media player to remember your last played position? Want VLC player to remember your last played position. Whenever you use VLC media player to watch any video like some movie or something else and due to some other work you stop watching and close it down. After sometime when you come back to continue your watching of that movie then you have to remember the time at which you had left watching or the position from where you want to continue because by default VLC play any video always from starting and you have to find the last position by yourself. But one thing most of VLC user don’t know that you can force the VLC media player to remember your last played position of hundred most recent video so that you don’t have to worry about it. 1. At first, open your VLC media player and then open preference under Tools. You can do so just by pressing Ctrl + P.
2. Inside the Tools->preferences try to find ‘pause on the last frame of a video’ option and below that option, you will find a drop-down menu which is by default set to ask. 3. Open that drop down menu and change that default setting to always and then save it. This two-step process keeps you free from remembering the last played position of any video so you can enjoy it at any time. 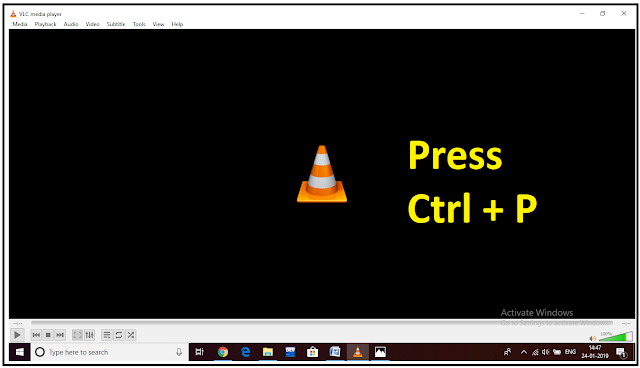 How to record computer screen using VLC media player?